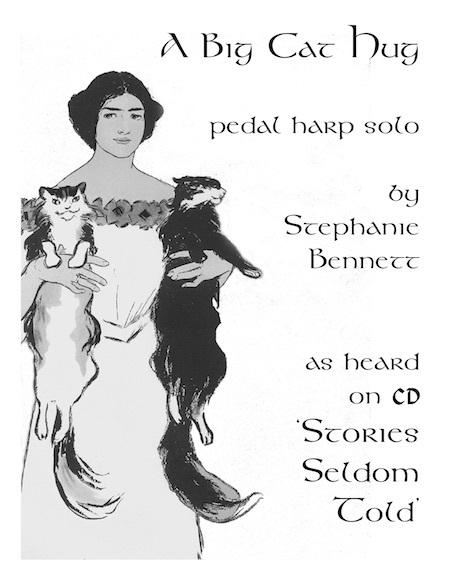 As recorded on CD "Stories Seldom Told". Listen. A long-time favorite of audiences! Warmly expresses affection and beauty, in a style that moves from gentle folk-music feel, to a flowing Impressionism, and back again. 4 minutes long. Level: for advanced-intermediate (and above) harpists. Includes: 5 pages of music. Fingerings are included. Notations are explained in footnotes on each page.